This book encapsulates John Beebe's influential work on the analytical psychology of consciousness. 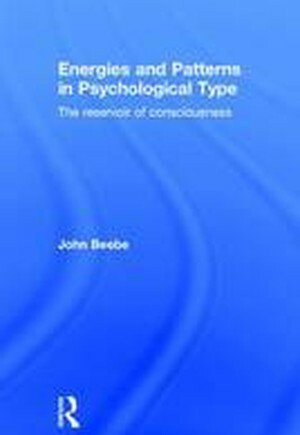 Building on C. G. Jung's theory of psychological types and on subsequent clarifications by Marie-Louise von Franz and Isabel Briggs Myers, Beebe demonstrates the bond between the eight types of consciousness Jung named and the archetypal complexes that impart energy and purpose to our emotions, fantasies, and dreams. For this collection, Beebe has revised and updated his most influential and significant previously published papers and has introduced, in a brand new chapter, a surprising theory of type and culture. Beebe's model enables readers to take what they already know about psychological types and apply it to depth psychology. The insights contained in the fifteen chapters of this book will be especially valuable for Jungian psychotherapists, post-Jungian academics and scholars, psychological type practitioners, and type enthusiasts. Acknowledgements. Permissions. Preface. Part One: Theoretical contributions. The Eight Function-attitudes Unpacked. Once More with Feeling. Understanding Consciousness Through the Theory of Psychological Types. Archetypal Aspects of Masculine Adaptation. The Wizard of Oz: A Vision of Development in the American Political Psyche. The Stretch of Individual Typologies in the Formation of Cultural Attitudes. Part Two: Type and the MBTI(R). Evolving the Eight-function Model. Type and archetype: The spine and its shadow. Type and Archetype: The arms and their shadow. Part Three: History of Type. Psychological Types: An historical overview. The Red Book as a Work of Conscience. Psychological Types in Freud and Jung. Part Four: Applications of Type. Difficulties in the Recognition of Psychological Type. An Archetypal Model of the Self in Dialogue. Identifying the American Shadow: Typological reflections on the Los Angeles riots. Name Index. Subject Index.